I must admit that my favourite Doctor Who episodes, by far, are always the ones set in the past, in important historical events or that feature historical characters. I love spaceships and whatnot, but give me an episode set in the past and I’m instantly sold. You see, what makes these episodes great is that Doctor Who takes an event we all know about and it gives it a sci-fi meaning. Why was Love’s Labour’s Won lost? Because of some witches. And why did the Thames freeze every now and then? Because an immense beast was living underneath. I love those sci-fi twists that only Doctor Who can pull off. On this occasion, the Doctor and Bill travel to London in 1814 – that is, the last time the Thames froze. But the twist here is that, as it happens, the villain is not a monster, but an evil privileged white man who comes from a family that’s been feeding the creature for generations. They feed said monster so that it, well, ejects the remains from behind, which turn out into a very powerful fuel. What is going to happen? Of course, the Doctor is going to save the creature, which is guilty of nothing at all -poor thing hiding in the river for so many centuries. 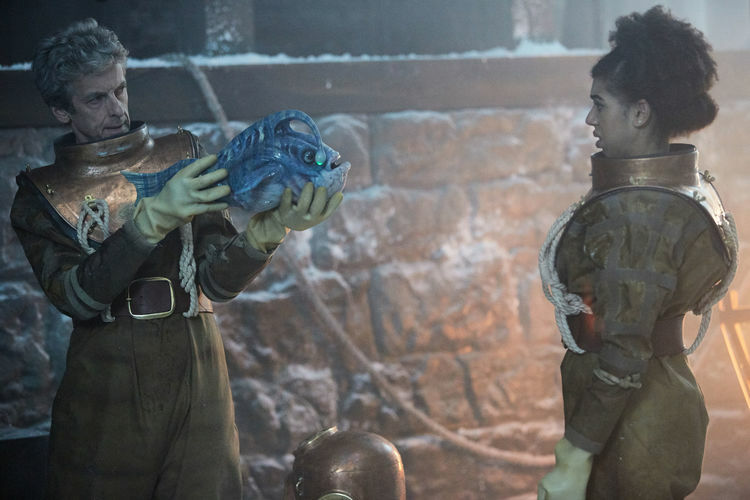 What’s interesting from ‘Thin Ice’ is that we finally see that turning point in which the companion questions the Doctor’s morals: all the deaths he’s seen, how he moves on so quickly, why not save one single person, etcetera. 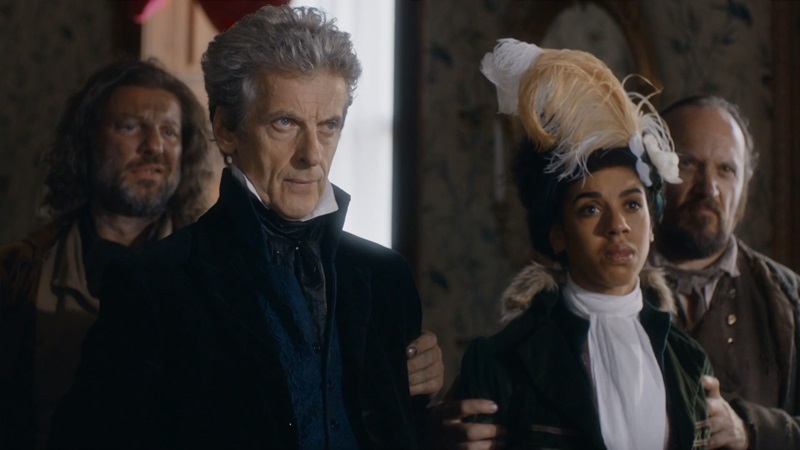 Pearl Mackie carries out this moment with poise and realism, and it is clear that Bill now understand what the Doctor has lived through. Especially after that wonderful speech when they are both captured by evil Sutcliffe. Now I have only one more question: is it John Simm behind that vault? (Please tell me it is John Simm, please please please). I love the historicals too and I’m a sucker for Regency London. I really enjoy the Bill/Twelve pairing so I’m sad it’s only a year when we had 2 plus for the other companions. Also exciting to note that MdT is coming back in another week! And features Alfred Hitchcock! I know what you mean about historical episodes. I’m still working my way through Classic Who and I’m enjoying the First Doctor adventures where there aren’t actually any aliens, just historical scenarios.